It's always a problem. Exposed cords! I wish we lived in a world where we could transmit electricity like we could wifi. But until then we'll just have to deal with them. Now, I've seen the fabric covered ones and honestly, I don't care much for the look. I don't know. It kind of reminds me of an 80s scrunchy. 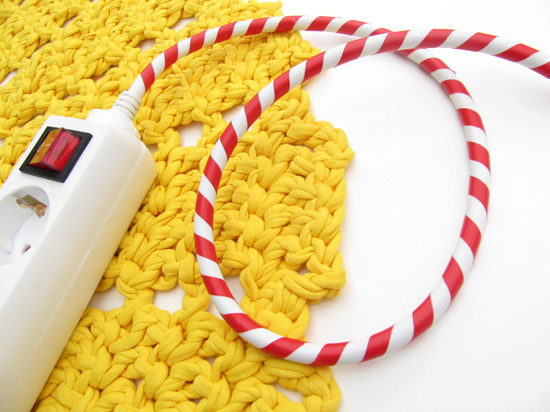 Here are some reasonable alternatives for covering those ugly cords! 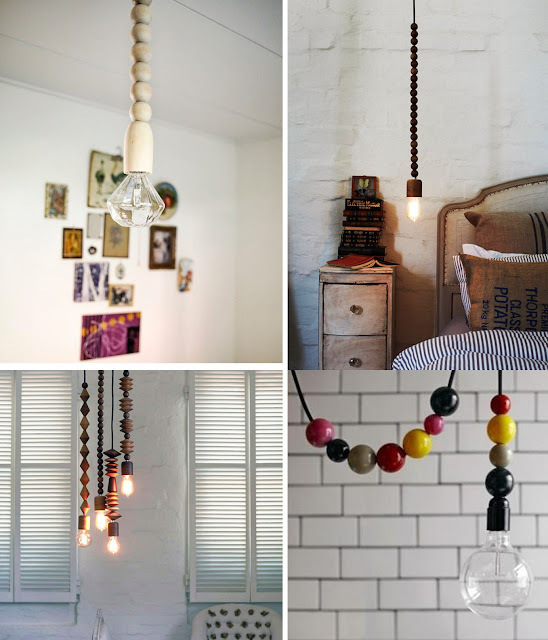 Wooden Beads! You could even stain these dark or redwood or even colored. I think that could look good. Image via Gretchen Gretchen. Marz Designs. Dottir and Sonur. Rope covered! Image via: Finding Home. Electrical Tape Covered! Here's a cheap 5 colored pack of electrical tape for only $5.08. Also could try duct tape covered. Image via: Bambula. Florafil. This is pretty cool. 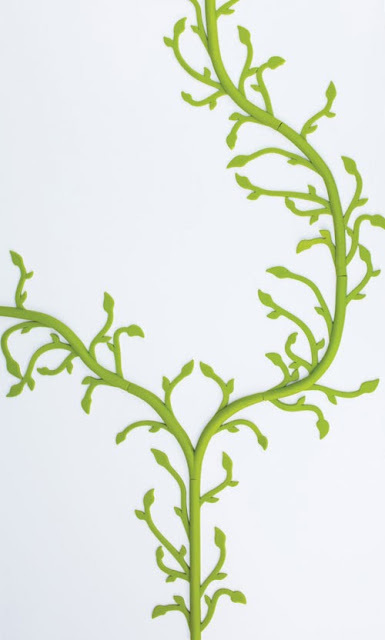 It's a flexible rubber duct cord lining that sticks to the wall and looks like a growing vine. Unfortunately it's not available for sale. It's made by designer Tania Da Cruz. IKEA should buy it from her! 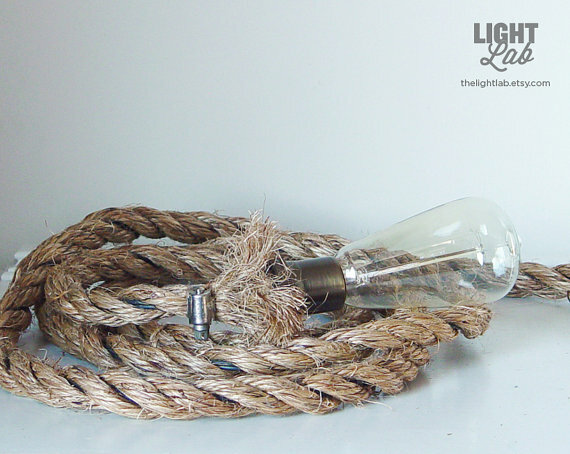 In the meantime you could try to DIY this with this green cord cover. And these neon green foam sheets. I think it might look interesting as brown with viney thorns. Macrame Covered. Image via: Rennes. 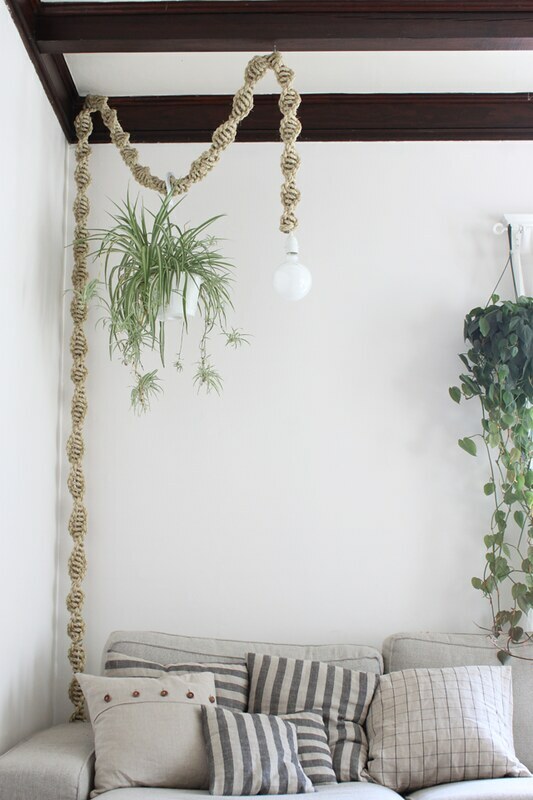 Get the how to macrame spiral knot video below! Faux Picket Fence. I don't know the original image for this source. I you do please let me know. 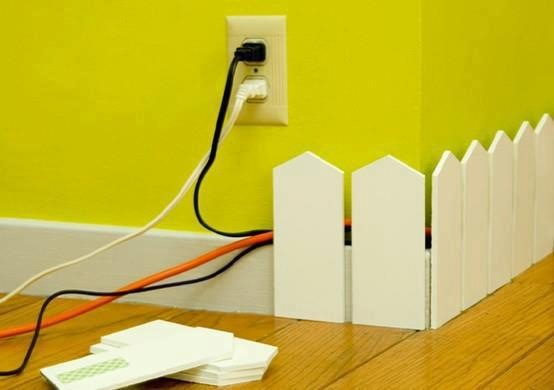 You can make these easily if you have a saw and wide wood sticks from the hardware store. Stick on with double stick foam tape. Don't know the source of this either. But let me know if you do. But you can DIY this. 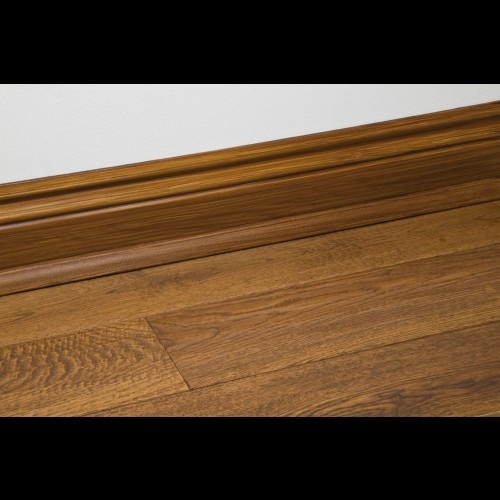 Buy a plain cord cover like this one and cover with a wood grain contact paper that closely matched your moulding and floor color. Here's another ropey option but instead of wrapping the rope you slide the cord THROUGH a large rope. Image via the Light Lab.